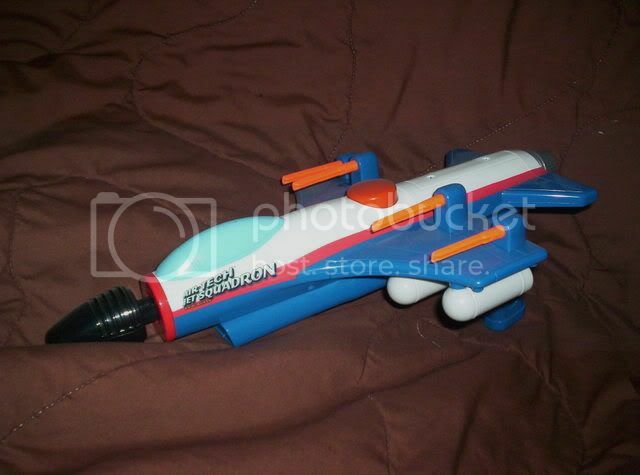 The Airtech Jet Squadron one of the most overlooked Nerf blasters in the world! I really cannot understand why though. 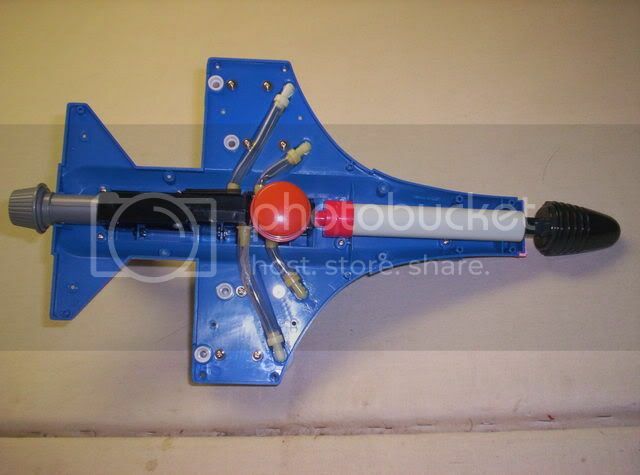 Shoots like a blastfire, and above all is a freaking jet! So a few months back I bought one of these babies from Badger, and have just now got to work on it. First pry off the red ring on the front of the gun. Now unscrew the top half from the bottom half. Don’t bother taking out the screws that are on the sides of the gun. This is what the internals look like it is basically a blastfire with one less barrel. The air is pumped into the bombs underneath the wings. 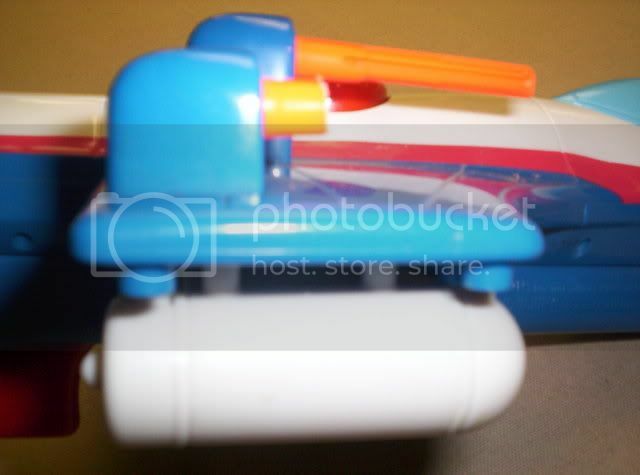 Then when you hit the trigger it releases the air up through the wing and out of the barrel. So airflow isn’t the best. I contemplated just attaching the barrels to the tanks so the barrels would be vertical. But then I realized how helpful will your guns be in a dogfight if you’re just shooting into space? 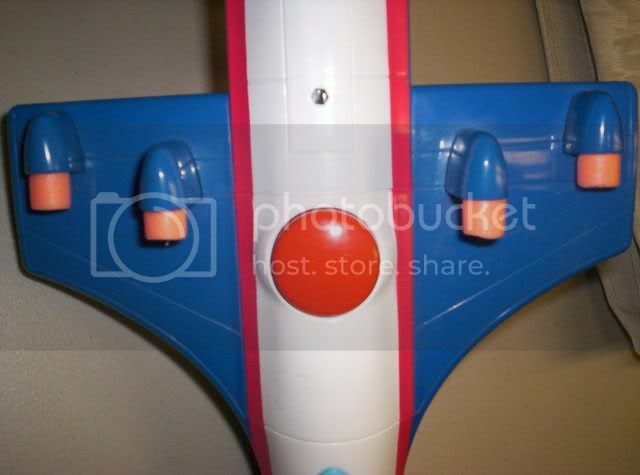 Plug the nose cone or pump with hot glue. Now it is onto barrels. Cut down the stock barrels enough that there is no restrictor left. Your barrels should look like this. Next cut small sections of dart tag darts and push them over the original barrel stub. This makes it easier to center your barrels, and give more support. Your barrels will now look something like this. Last is to glue on your choice of barrel materials. I chose 3” of petg for each barrel. Put some super glue around the dart sections. Then slide the barrels on over the dart sections. Make sure everything is straight, and then go around them with some hot glue. 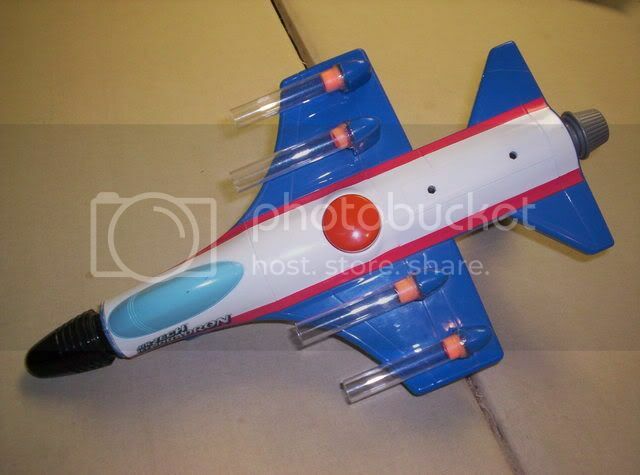 Wham bam have a ham now your Airtech Jet Squadron is ready for take off! The gun is almost dead on with my modded blastfire in the range department. I recently acquired a crossbow shell. The previous user must have covered it in duct tape and now it looks like garbage due to all the sticky crap. 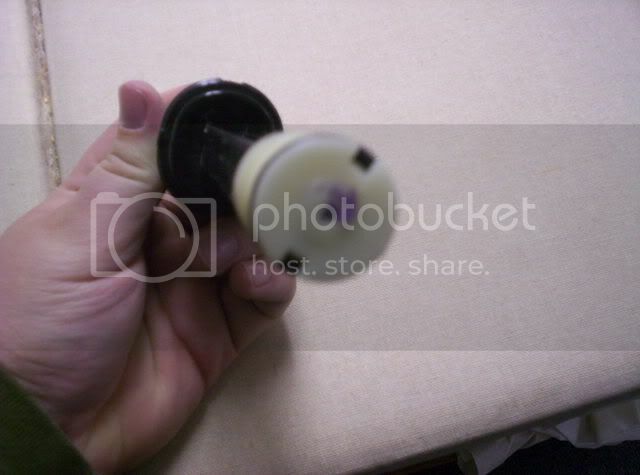 Is there a good way to remove this stuff without damaging or discoloring the plastic? Who is up for a war sometime next month? Same place as the last one I tried to host. This address is the driveway right before the one to the field. Here's some pics of the RC2 pump shotgun that you can get from cabelas or other outdoor stores. I found mine at a horse tac shop near my house.